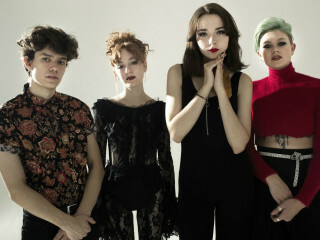 LA-based punk act The Regrettes write songs that bear a brazen and unabashed attitude in the vein of acts Courtney Barnett or Karen O, with a pop aesthetic reminiscent of '50s and '60s acts a la The Temptations or Buddy Holly. They're touring in support of their new album, Attention Seeker. They're also known for their version of "Helpless" from the musical Hamilton​, as part of the Hamildrops series.